Australia was a foreign yet promising place for the thousands of Italian migrants who sought to build new lives here after the devastation of World War II. Nicole Cama shares her grandparents’ story of love and hope after they took the ‘proxy plunge’. 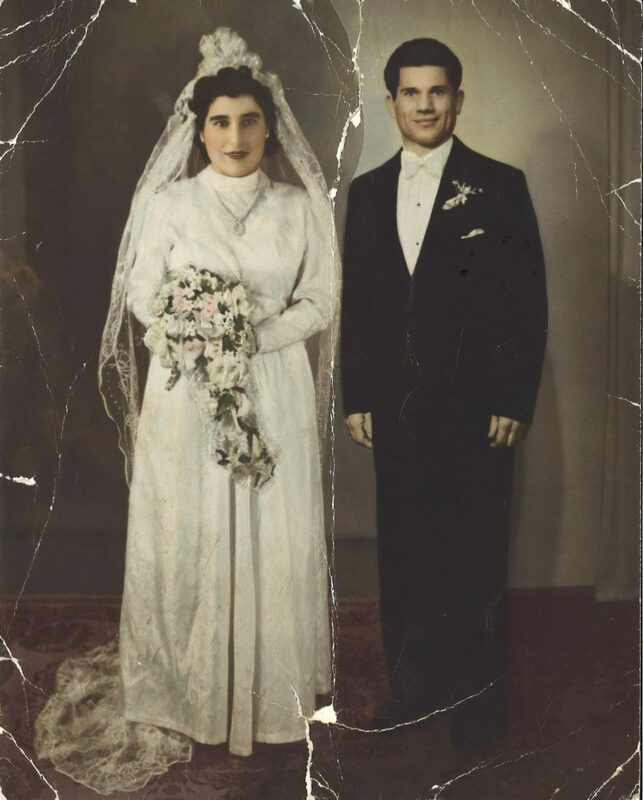 Teresina and Giovanni’s wedding photograph, manufactured especially for them by Adelynne Studio in Neutral Bay in 1953. If you look closely you can see the divide between the two joined photographs. All photographs courtesy of Nicole Cama. 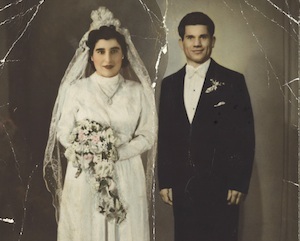 ON 25 JUNE 1953, Teresina Caccamo donned her wedding dress and lace veil and made her way to the local church in Taurianova in the region of Calabria in Italy. She proceeded up the aisle, but it wasn’t her fiancé who greeted her at the altar. It was a ‘stand in’ groom. As the wedding bells chimed and the celebrations commenced, across the other side of the world the real groom was working in Australia’s largest foundry — Malleable Castings in Marrickville, Sydney. Giovanni Cama knew full well what that day meant, but he never took a day off, a work ethic he strictly adhered to. As the ceremony ended back in Italy, the reception was held at Teresina’s uncle’s house where family and friends danced to songs playing on the gramophone. Months earlier, a man Giovanni had never met approached him at the factory, asked if he was married and then told him of a young woman from a family he knew back in his hometown in Italy. In the end, all it took was a photograph for Giovanni to decide he wanted to marry Teresina. This is the story of my grandparents and how they took a gamble and made a decision that was to dramatically change the course of their lives. Between 1945 and 1969, just over 346,000 Italian nationals migrated to Australia. At the heart of their motivation to move was the grim reality of the devastation that had hit Italian communities during World War II. In Calabria by 1950, it is estimated that the average meat consumption was eight kilograms per person per year. When I consider this statistic and the stories of hardship relayed by my grandfather, the decision he made to leave his family and Calabria for Sydney in 1951 is not as incomprehensible as it initially seems. This was not, however, what I found most perplexing about my grandparents’ story. It was my grandmother’s decision that motivated me to find out how a young woman, around the same age as me, agreed to leave her family, her home and everything she knew to come to an unknown land and spend the rest of her life with a man she had never met. Imagine the hustle and bustle of Circular Quay at 5:36pm on 18 March 1954. Hordes of Italians, including expectant husbands, relatives and fellow paesani (countrymen), crowded on no. 2 wharf awaiting the Flotta Lauro passenger liner TN Sydney. Teresina has just undergone a one-month voyage, the majority of which she spent below deck suffering from seasickness. She has only ever communicated with her husband by letter and even these had been written and approved by her father. She has also only ever seen her husband in a photograph. Nine months after the wedding, Giovanni had saved the 200,000 lire required to fund Teresina’s passage, and they are introduced to each other for the first time, as husband and wife, in one of Australia’s busiest ports. Giovanni and Teresina pose for a photograph in Weekley Park in Stanmore, 1961. This method of marriage by proxy was not unusual. Though it was a custom adopted by other European immigrants, it was primarily undertaken by Italians. By 1947, the percentage of settled male Italians compared to females was around 70 per cent in Australia. To address this shortage of women and, as the Italian-Australian newspaper La Fiamma put it, ‘the worst problem affecting our community’, the Australian Government recognised the legitimacy of Italian proxy brides. Though proxy marriage ceremonies were not legal in Australia, the government recognised the marriage if it was performed in a country where it was legally permissible. As Ron Testro noted in Melbourne’s The Argus in 1954, ‘behind this mass importation of marital bliss is, of course, the age-old law of supply and demand.’ Yet beyond this statistical reality, the scheme also suited the government’s postwar migration aims to increase Australia’s population and the nation’s productivity. The total number of Italian proxy brides who came to Australia is unknown. 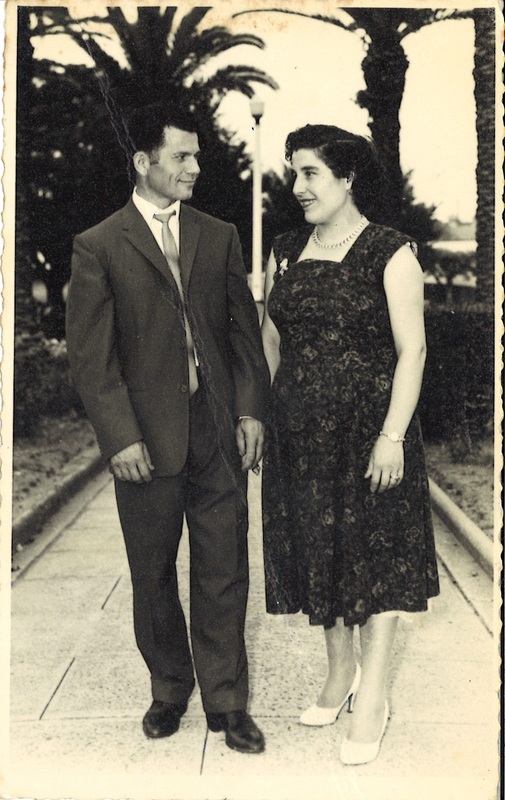 Data from Western Australian Archdiocese archives indicates that approximately eight per cent of all Italians who settled in the state between 1938 and 1971 were married by proxy. In 1954, The Argus reported that around 10,000 proxy brides had arrived in Australia since the end of the war. In any case, it is likely that the national statistics number in the tens of thousands. In some cases, the couple hailed from the same town and had known each other previously through family and friends. There were also other, more unusual cases, such as my grandparents’, where the couple did not know each other at all and came from different towns. It’s important to note that not all Italian marriages were conducted by proxy. Lina Cesarin’s story is quite different to my grandmother’s. Lina came from a small town in Casarsa in the northern province of Pordenone, Italy. When Lina was 17 years old, she met Rizzieri Cesarin and after a brief courtship, they were engaged for a year before Rizzieri set off for Australia in 1951. Rizzieri worked in Cooma, New South Wales where he helped establish base camps for workers on the Snowy Mountains Hydro-Electric Scheme. 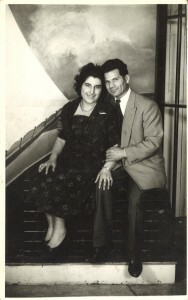 After a wait of five years, Lina embarked on the long voyage to Australia and was reunited with her fiancé on 9 July 1956. Two days later, she made her way to a church in Leichhardt, wearing a beautiful ivory satin dress, with a white lace veil and a pair of gloves, now a part of the Australian national Maritime Museum’s collection. Teresina and Giovanni Cama posing at Luna Park in Sydney in 1961. Although Teresina and Lina’s stories resulted in happy marriages, these matches weren’t always successful. In 1938, a 25-year-old proxy bride reached Fremantle, Western Australia and “caused consternation” when she refused to accept her husband. The “embarrassing anti-climax” reverberated throughout Fremantle’s Italian community and some called for a re-evaluation of the circumstances surrounding how these proxy marriages were conducted. In this case, the bride had never seen her husband until she disembarked from SS Orama on that disastrous day. An earlier case, reported in the Gippsland Times in January 1933, tells of a tragic love triangle that ended with a suicide pact. nineteen-year-old Marcia Guttera was a “pretty Italian girl” who was found shot dead in a hut in Lismore, NSW along with her lover, Oreste de Martini. Two years earlier she had married by proxy before travelling to Australia to settle with her husband. Marcia was unhappy with her husband and disappointed with life in Australia and the couple eventually separated. She then met De Martini. At some point after moving onto his farm, she wrote a suicide note before De Martini killed her and then turned the gun on himself. She was found dressed in a bridal gown. that I have left that is Italian. that I have found in Australia. 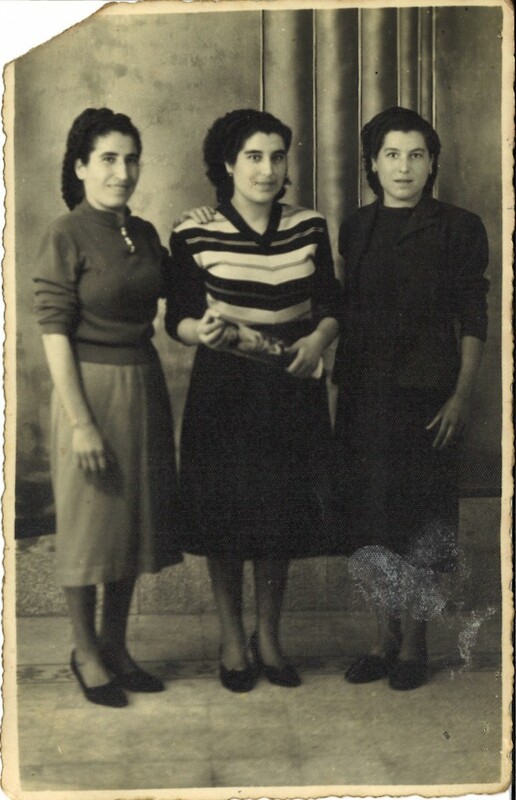 Teresina posing with her sisters Antonietta (left) and Montagna (right), before she left for Australia in 1953. Whether or not they faced life in a community in Italy suffocated by economic hardship and ravaged by war, Australia offered the proverbial light at the end of the tunnel. It was an opportunity to create a new life in a new setting. In packing up their belongings and leaving their families, they carried more than just a suitcase as they journeyed to Australia. In their quest to fulfil their sense of familial duty and maintain the cultural traditions under which they were raised, these brides also carried with them hope. For the first generation Australian-Italian writer, Anna Maria Dell’Oso, proxy marriages were marriages “of hope and escape, of adventure in a new land, of growing up at last, of the thrill of being with someone as determined as you are that you will succeed in being happy and that you will not live again in poverty and in war”. In this sense, to dismiss this phenomenon as archaic is to undermine the motivations and dreams of those who decided not just to leave their homeland, but to take the ‘proxy plunge’. It is only in recent years that Italian brides, whether married by proxy or not, have been willing to share their stories. Even then, though a considerable amount of time has passed since these brides arrived at our shores, some still struggle to explain their decisions. This only serves to highlight the need for us to record these stories, because they form an integral part of Australia’s post-war migration story. These couples and the families they created have added yet another colourful shade to this country’s vibrant multicultural identity. When I asked my grandparents why they made their choices, they struggled to provide an answer. That was until the end of our conversation when they dropped the word destino (destiny). Despite the harsh economic and social realities they faced in their homeland, in the end they believed it was fate that directed their decisions. Five children and 10 grandchildren later, Giovanni and Teresina have never spent a day apart. This year, they celebrate their diamond wedding anniversary and their bond has only strengthened since that day, 59 years ago, when destino played its hand and Teresina strode off Sydney to meet Giovanni for the first time. NOTE: This article was first published in Inside History magazine, Issue 17, (Jul–Aug 2013), pp 50–53. Reproduced courtesy of Inside History magazine.